Immediate & Unconditional Release of Civil Rights Activist Shima Babai! Updated on June 21, 2016. 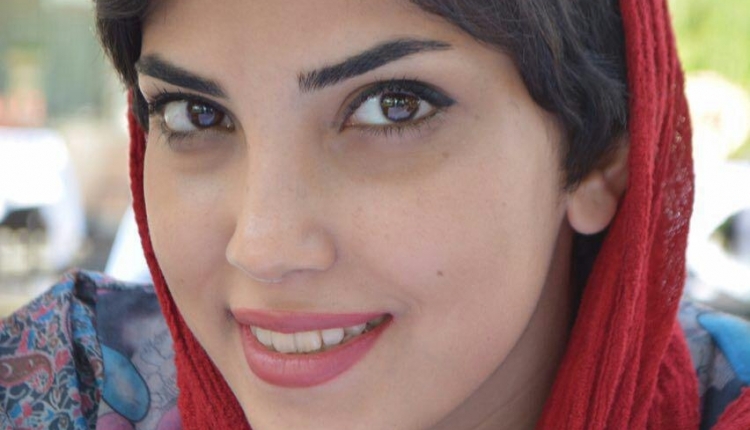 IRGC’s Officials Arrest Civil Rights Activist Shima Babai. Shima Babai, the civil rights activist, was arrested by IRGC officials in a raid at her father’s house on May 25, 2016. Officials seized her personal belongings- books, hand writings and cell phones- in the attack, BCR Group has learned. The civil rights activist was reportedly taken to the notorious Ward 2-A of Evin prison. She, 21, was previously arrested along with Mahmoud Massomi and Elham Rasoolibaghi two weeks ago. She was released after hours. Finally, Shima Babai, the 21-year-old civil rights activist, was released on bail of $33,000 (100 million Tomans) on June 1, 2016 after enduring eight days in solitary confinement in Evin in the hands of the IRGC. شیما بابایی فعال مدنی بازداشت شد! شیما بابایی فعال مدنی و حقوق‌بشر در شامگاه چهارشنبه 5 خرداد‌ماه 1395 توسط ماموران اطلاعات سپاه بازداشت شد. بنابر گزارش فعالان حقوق بشر داخل ایران؛ ماموران سپاه پاسداران با ورود به منزل پدری شیما بابایی او را بازداشت کرده و وسایل شخصی مانند کتاب و دست‌نوشته و گوشی‌های تلفن همراه خانواده را نیز با خود برده‌اند. گزارش‌ها حاکی از آن است که این دانشجوی رشته معماری داخلی به بند دو-الف سپاه در زندان اوین منتقل شده است. تا کنون از علت بازداشت و اتهام شیما بابایی اطلاعی در دست نیست. پیش از این نیز او به همراه محمود معصومی و الهام رسولی‌باقی در 23 اردیبهشت‌ماه 1395 بازداشت شده بود که پس از ساعاتی آزاد شد. THEREFORE: We, the undersigned, demand that the international community bring all possible pressure to bear upon the Islamic Republic of Iran to honor its binding human rights by IMMEDIATELY and UNCONDITIONALLY releasing Shima Babai from the prison, stopping her ILLEGAL arrest and dropping all equally ILLEGAL possible charges against her. The Immediate & Unconditional Release of Civil Rights Activist Shima Babai! petition to UN, Ban ki-Moon, OHCHR, Navi Pillay, Ahmed Shaheed, State Department, EU, European Parliament was written by Kaveh Taheri and is in the category Human Rights at GoPetition.